What is it about a good nut brittle that makes it so moreish? 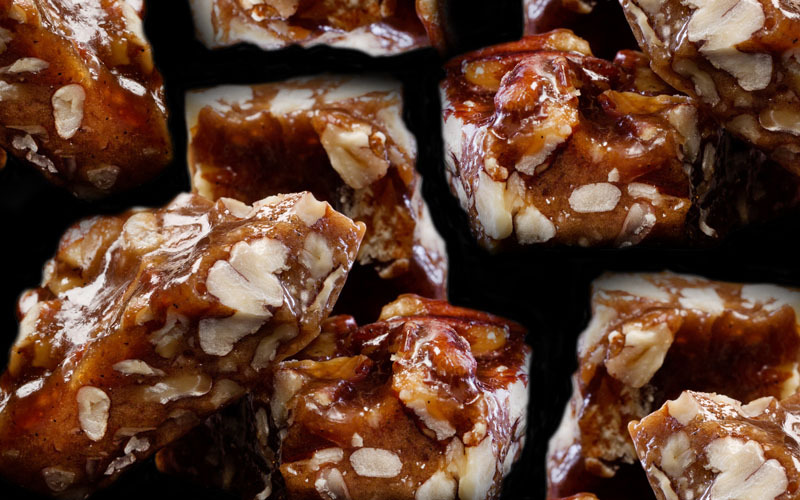 Fudge Kitchen have hit the nail on the head and found the perfect balance of texture and flavour for their Mixed Nut Brittle which is part of their ‘Delectables’ confectionery range. Each small batch is expertly made in a truly artisan way. The molten caramel is hand stretched on marble slabs to achieve just the right amount of snap and crunch. We love the resulting texture which has managed to avoid being tooth-breakingly hard and complements the nobbles of nuts.